Answering a few questions about the new PBS Kids 24/7 channel. 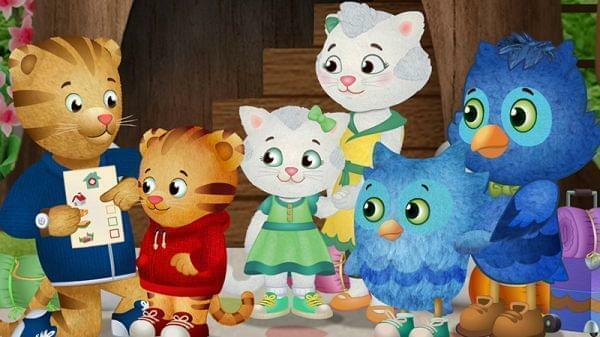 Daniel Tiger's Neighborhood will be one of the shows coming to the PBS Kids Channel. PBS Kids will be a round-the-clock children’s program service drawing on public television’s immense library. Beginning Monday, January 16, you’ll find it on WILL-TV’s 12.2 channel, currently home to World. It will be available over-the-air, online, on streaming devices—through the PBS Kids Video app—and on cable systems that carry WILL’s digital subchannels. So, I’m sure that you have questions, and I’ll attempt to anticipate them. Why on Earth does PBS Kids need to be 24/7? Aren’t the children in bed? Believe me, that was my own first question. It turns out that most TV viewing by kids takes place between 6 and 10 pm. And overnight programming may prove a blessing to parents attempting to calm a sick child. World will be sharing space with our Create how-to/travel channel on WILL-TV 12.3. Create will air 5 am – 5 pm; World from 5 pm – 5 am. This allows us to maintain the best of both worlds: Create’s weekend marathons, and World’s exclusive documentaries. Can’t you add another digital channel? Yes, but… WILL-TV uses a shared master control facility in Jacksonville, Florida. The cost of that technical service increases dramatically for each additional channel. Will there still be PBS Kids programming on WILL’s main channel? Yes. Our agreement with PBS require us to broadcast a minimum of seven hours of children’s programming each weekday. More important, however, is that many cable TV households and all satellite TV households are unable to receive our digital subchannels. Are these really my questions? Or are you just guessing what I'll ask? In the weeks to come, we’ll have plenty more information available on will.illinois.edu. If you have a question or concern that I haven’t covered, you’re always welcome to contact us directly!